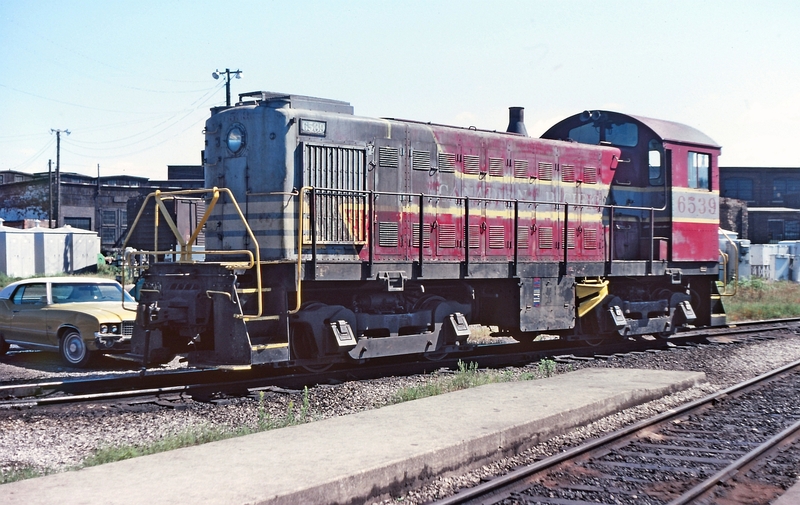 Railpictures.ca - Doug Lawson Photo: A hot August morning, CP 6539 taking a break at the John Street roundhouse facility. | Railpictures.ca – Canadian Railway Photography – photographie ferroviaire Canadienne. Caption: A hot August morning, CP 6539 taking a break at the John Street roundhouse facility. West Toronto Yard is adjacent and continuous with Lambton Yard. They are in the west end on the Galt Sub. at start of MacTier Sub. I stand corrected. I do recall being at John Street that day, perhaps refresh my memory as to where West Toronto would be. I was along for the ride that day and not too familiar of the area. This is not John Street. It is West Toronto.